Some kids do not enjoy brushing because of sensitive teeth. Children can get sensitive teeth for the same reasons that adults do, but it could also be related to another condition, such as autism. In order to treat your child’s sensitivity, it is necessary to first figure out the cause. If your child does not like to brush and floss or doesn’t do a good enough job, his or her sensitive teeth could be the result of enamel that has eroded. Your child may also have injured a tooth by playing sports or through an accident. Biting a piece of hard candy can cause sensitivity if the dentin is exposed and irritated by bacteria. Sometimes it seems that a child has sensitive teeth, but the child is actually sensitive. Children with autism tend to be more sensitive to strong smells and tastes than non-autistic children. This can cause a negative reaction when it is time to brush your child’s teeth. A desensitizing toothpaste can help a child with sensitive teeth, but you should consult your pediatric dentist first, especially if your child is under the age of 12. If the smell or taste of the toothpaste your child has been using is unpleasant to him or her, you can switch to one with a milder flavor or no flavor. The National Center for Infants, Toddlers, and Families says that in some cases it may be better not to use toothpaste or a toothbrush for a child under 3 with sensitive teeth. You can clean your child’s teeth with a clean washcloth or a piece of gauze to remove food particles and bacteria until you can take your child to the dentist. If your child has sensitive teeth because of cavities, your dentist may want to apply fluoride in the office to strengthen your child’s teeth and reduce the risk of future cavities. Fluoride gel and foam are usually only needed if a child has a higher-than-average risk of cavities. Your dentist may give your child a prescription for a fluoride gel to use at home. You can reduce the chances of your child getting sensitive teeth by making sure he or she brushes and flosses every day. 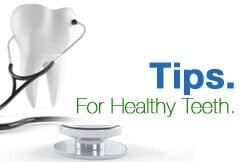 This can reduce the risk of cavities and gum disease. Using a toothbrush with soft bristles can also reduce the risk of sensitivity. You should take your child to a pediatric dentist for an exam to help pinpoint the reason for sensitivity. The dentist will look at your child’s teeth and may take x-rays to diagnose the problem and recommend a cleaning or other treatments. If your child has sensitive teeth, schedule an appointment at CT Pediatric Dentistry today.